LED lights respond to sound. 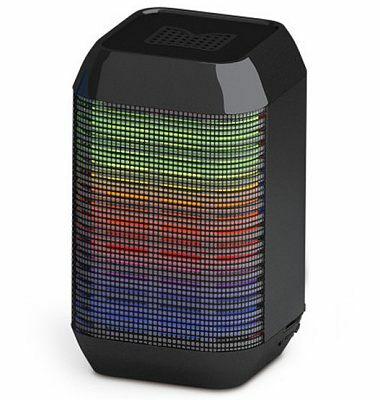 Enjoy unique audio and visual experiences with our PXK821 speaker thanks to its led lights responding to sound. 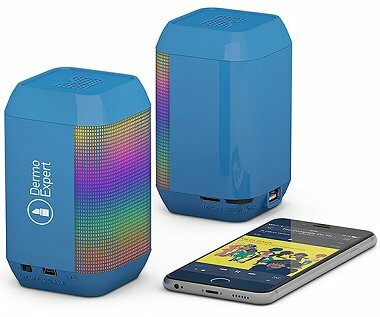 Partying wherever you are with this irresistible portable speaker. 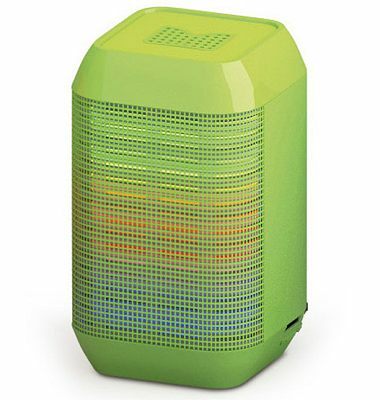 Spray out a powerful sound, wireless (10 meters range) with any phone or tablet. 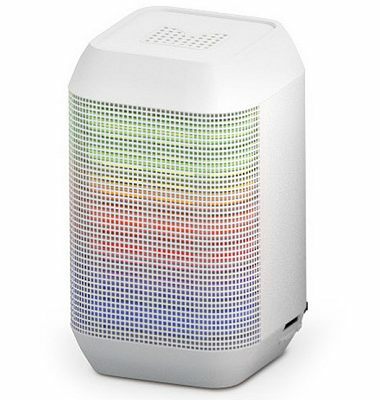 Main functions : Playing audio files with a wireless connection (Bluetooth technology), Harmonic led lights, hands-free kit for your phone, Radio, MP3 Player with SD card or USB.